Dynamic body-weight support & fall protection for adults. Including bariatric patients up to 700 lbs. 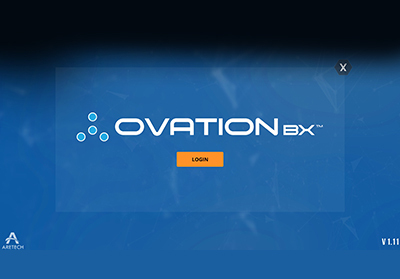 Ovation is the very first technology with dynamic body-weight support and fall protection designed for the widest range of adults, even bariatric patients up to 700 lbs. Rehabilitation and exercise is possible within a safe, interactive environment while tracking goals and metrics. 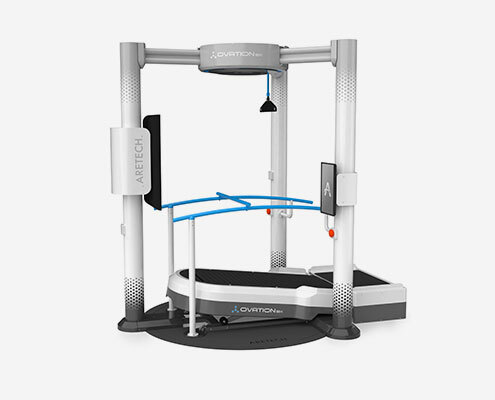 Ovation can make an individual feel up to 350 pounds lighter with the robotic unloading system to promote natural movements, increase endurance, and reduce load-induced pain. An intuitive touchscreen for the clinician is mounted to Ovation. A wireless tablet can also be used for an unrestricted therapy session. Adjustable depending on the individual’s needs. Both the patient and therapist are safe from injury due to a fall. 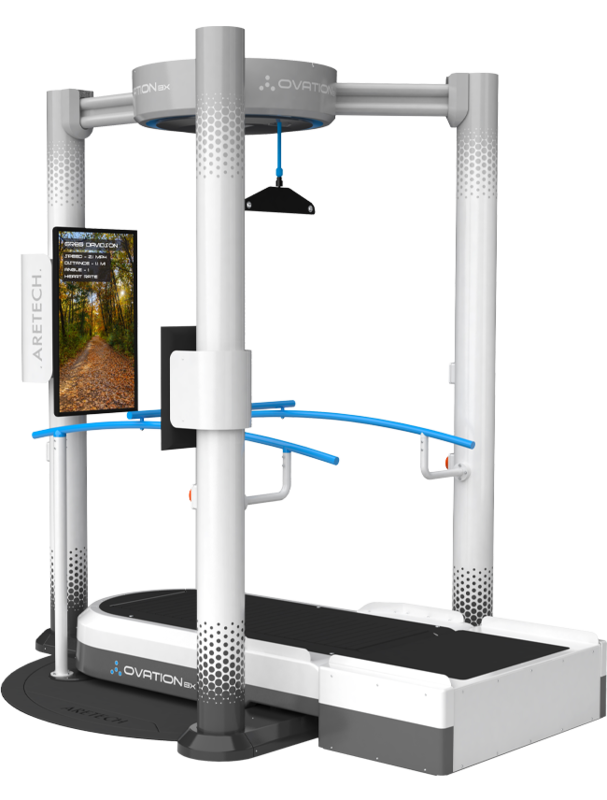 With DualArrestTM, when Ovation prevents a fall, the treadmill will automatically stop. 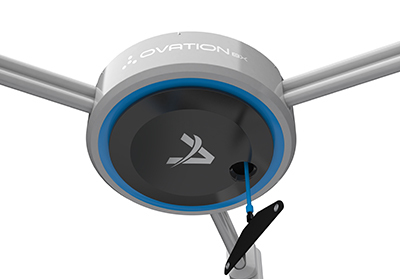 Ovation utilized a state of the art winch system that can raise individuals to standing. Even those weighing 700 lbs! An interactive experience through the Infotainment Virtual Display with virtual walks, photo galleries and cognitive tasks while providing constant feedback on heart rate, calories burned, treadmill speed and other valuable metrics. 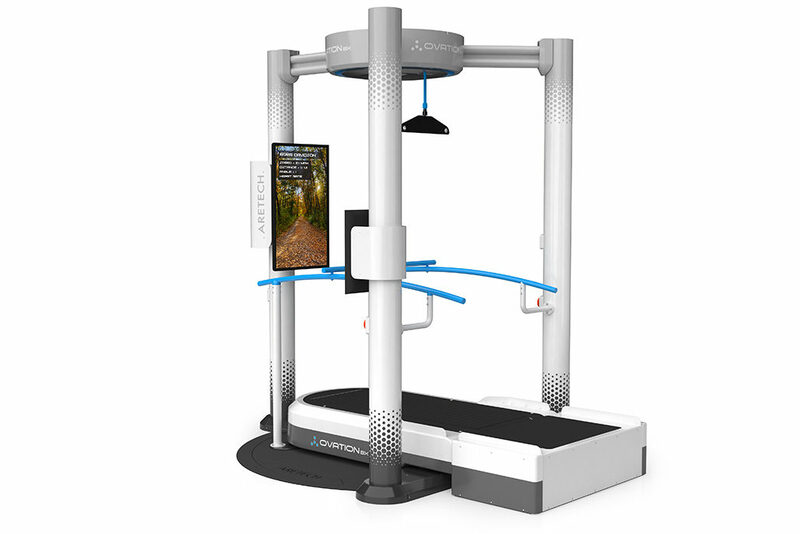 Encourage participation by setting goals such as target heart rate, calories, distance and more as the individual watches their progress on the Infotainment Virtual Display. Soft rubber slats create a smooth and quiet experience and reduce impact on joints and soft tissues. 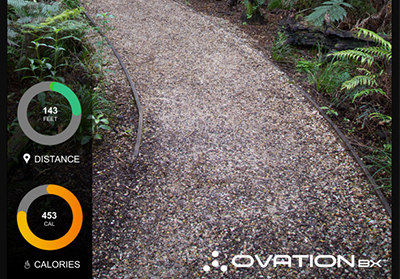 The Ovation comes with a resting bench for patients should they require a break during walking. Therapist seating with footplates is an optional accessory. 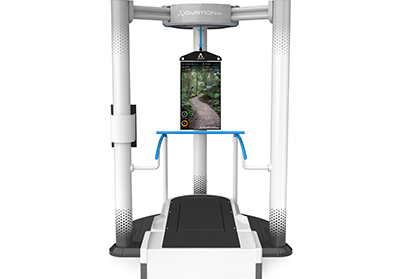 Ovation allows a wide range of adults, even the bariatric patient, to get up to standing and walking while using dynamic body-weight support to offload their weight. Ovation can make them feel up to 350 lbs lighter. 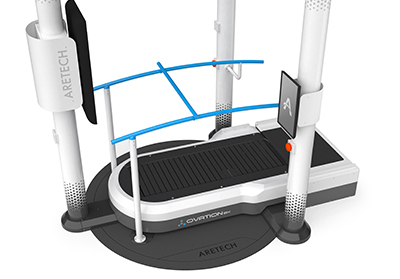 This allows them to to walk on the treadmill and perform other functional activities while they are protected from falling. Capture heart rate, calories, intervals, levels of BWS and other metrics to track progress and monitor outcomes. Dynamic body-weight support is used to reduce load-induced pain on joints. Individuals feel lighter, extending their endurance. Walking on the treadmill is one of the best activities for increasing cardiovascular endurance. Incline the treadmill to walk up and down hills for additional challenges. 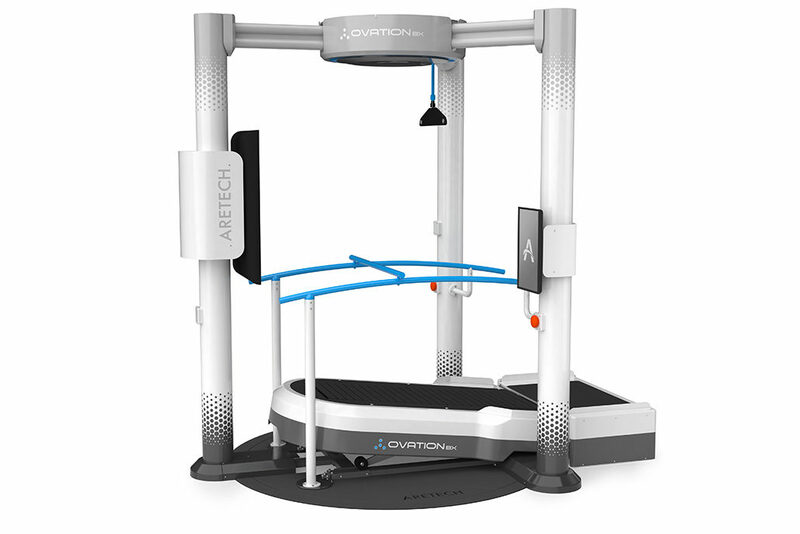 Adjust the amount of dynamic body-weight support to modulate the therapy intensity. As the individual gets stronger, decrease the amount of support so they achieve more with their own efforts.